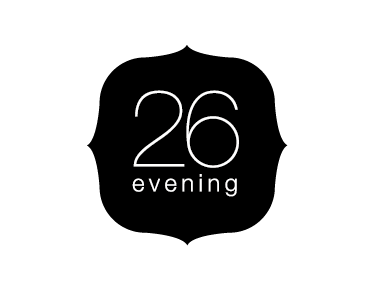 26 Evening, the casual wear brand designed by Kymira. The objective of the logo was to reflect the brand's designs. Hip, smart, casual and very current.